SpongeBob Marbles & Slides ($1.99) is compatible with the iPhone, iPad, and iPod Touch. A longtime favorite of children everywhere, this affable yellow sponge has made a foray into educational apps for kids. 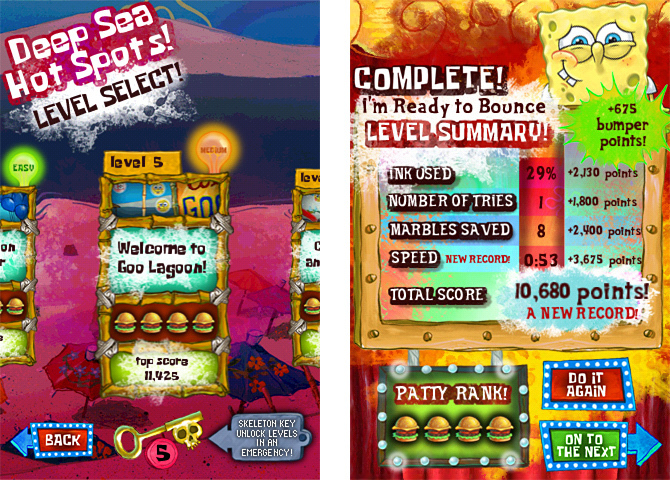 The app includes numerous games and activities set in Bikini Bottom. Kids can help SpongeBob stop Plankton from stealing the Krabby Patty secret formula while navigating through traps and obstacles. Offers sixty levels of varying difficulty and a variety of tools to solve each puzzle. The colorful scenery and irresistible characters are certain to hold your child’s interest. Roxie’s a-MAZE-ing Vacation Adventure ($2.99) is compatible with the iPad. Just as the name implies, the app involves a maze. Children navigate the maze across 16 different screens. Along the way, they are supposed to find certain items, such as animals, letters, and numbers. The maze is navigated with a different method for each screen (i.e. rafting, walking, driving, and flying). This app is appropriate for promoting problem solving skills in children as young as four. Reading skills are not required. Autism and PDD Reasoning and Problem Solving (free) is compatible with the iPad. It was created specifically for children with autism, but other children may also benefit from it. 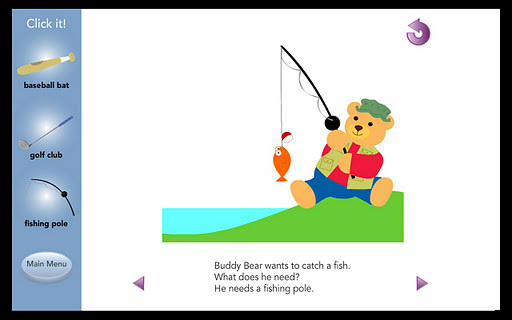 The app features “Buddy Bears” to improve problem solving and reasoning skills. It uses simple language, audio narration, and open-ended responses. 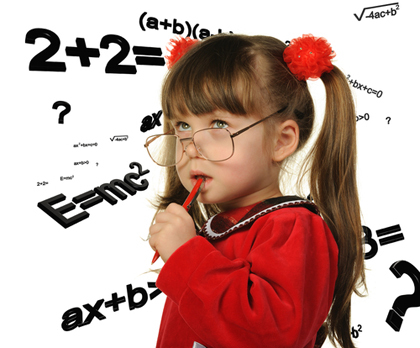 Children are encouraged to answer questions that involve cause and effect, sequencing, predictions, comparisons, etc. Right answers are rewarded with a “Good job!” audio clip. ABA Problem Solving (free) is compatible with the iPhone, iPad, and iPod Touch. This is a simple, customizable problem solving app that is intended for children from ages 2 to 4. It teaches basic concepts like shapes and colors while asking children to identify the object that does not belong to a set. The difficulty can be varied, and parents can even personalize the app by recording their voices and taking photographs of the child’s favorite toys. Professor Kim: What’s Missing Here? Professor Kim: What’s Missing Here ($1.99) is compatible with the iPhone, iPad, and iPod Touch. This memory game is perfect for young siblings because it offers a two-player mode. It is an entertaining, colorful app that challenges kids to identify a missing object – a nice break from the traditional “matching pairs” games. Parent reviews on the iTunes shop praise it for its ability to keep kids entertained as they boost cognitive skills.